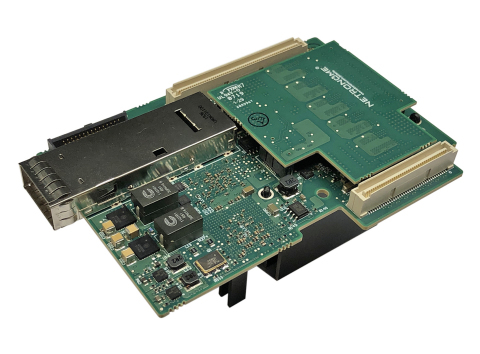 OCP GLOBAL SUMMIT 2019 – Netronome, a leader in high-performance intelligent networking solutions, today unveiled its Agilio CX 50GbE SmartNICs in OCP Mezzanine 2.0 form factor with line-rate advanced cryptography and 2GB onboard DDR memory. The new SmartNIC reduces tail latency significantly enabling high-performance Web 2.0 applications to be deployed in cost and energy-efficient servers. With advanced Transport Layer Security (TLS/SSL)-based cryptography support at line-rate and up to two million stateful sessions per SmartNIC, web and data storage servers in hyperscale environments can now be secured tighter than ever before, preventing hacking of networks and precious user data. An industry first, the highly efficient implementation of cryptography and memory access technologies in the NFP silicon enables the richly featured Agilio CX 50GbE SmartNICs to operate within the stringent bounds of size and power in the OCP 2.0 Mezzanine specification. Netronome designs and delivers server networking and coprocessor platforms, including its market leading silicon accelerators, SmartNICs and software, enabling customers to increase the efficiency and security of their modern data center infrastructure. Our technology can also be purchased as hardened IP blocks to build custom SoC silicon devices. Our solutions enable rapid innovation at lower cost and power through domain-specific, open and efficient programming models and ability to offload network and security processing. Netronome has a global footprint and is headquartered in Santa Clara, CA. To learn more about Netronome and its products, please visit www.netronome.com.